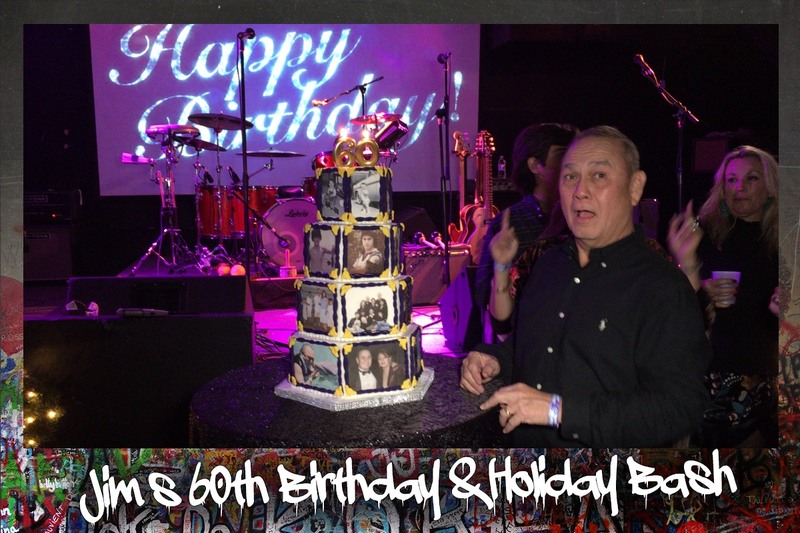 Jim celebrated his 60th birthday party at a blowout event at Fitzgeralds. His birthday cake had over 50 pictures of him throughout the years and guests went crazy over the Christmas tree lite bright drink wall and the concert by the Spacerockets band. Beautiful Christmas trees and a fun photo station were great additions. 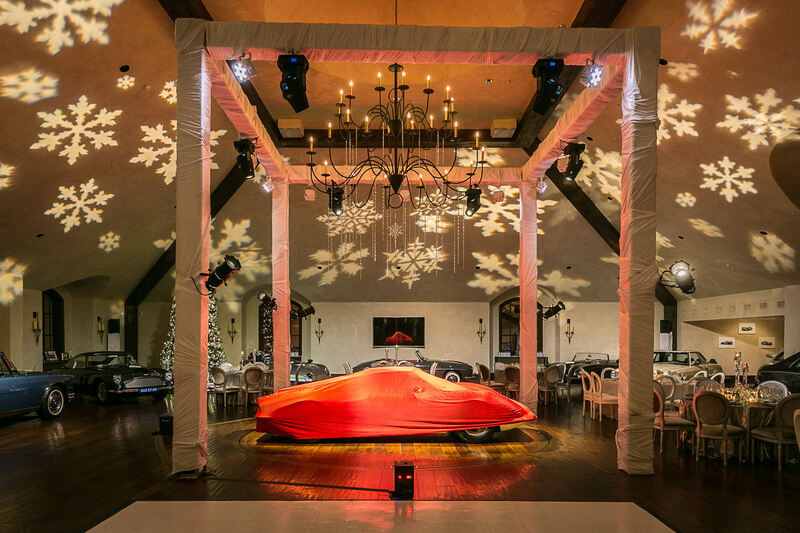 For this elegant party in client’s home, we provided gorgeous holiday themed decor, a seated dinner by Cordua Catering and a very cool reveal of a new car. For those old enough to remember, the ’80s was a wild and crazy time. 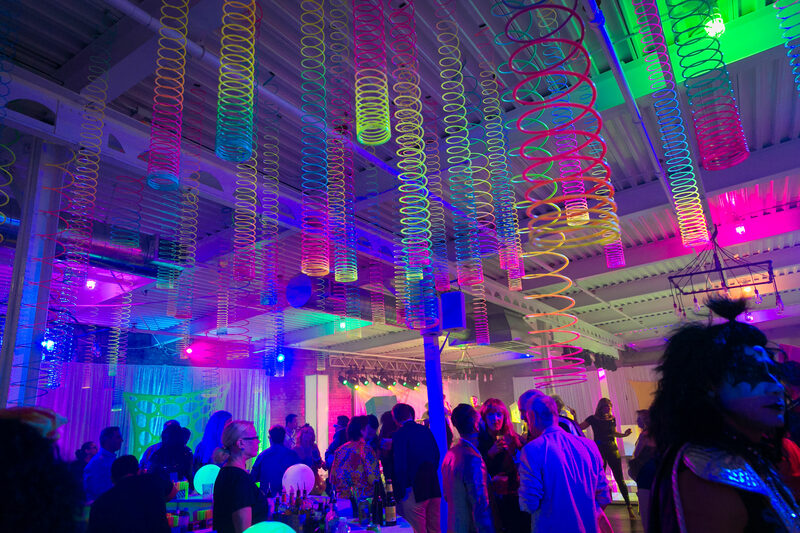 So when Jessica Rossman decided to celebrate her milestone 50th birthday, she harkened back to her formative years for a blowout bash that recalled the neon decade in all its glory. 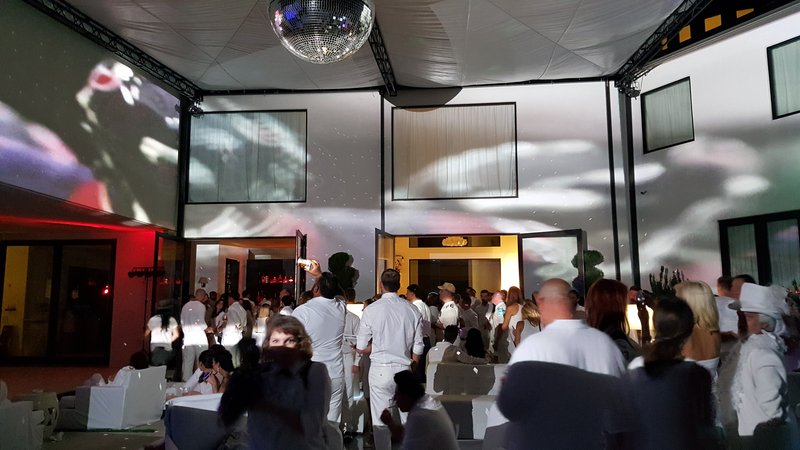 Upon entering the venue, the more than 250 guests posed for photos in front of a wall of Andy Warhol-like portraits of Rossman, and sampled ceviche offered by a a mermaid in a bathtub, recalling the 1984 hit movie, Splash. Artist Hanh Tran created an interactive painting of Rossman with a bottle of champagne and invited guests to paint the bubbles. A custom-built wall in the shape of a Rubik’s Cube overflowed with such 1980s candy treats as Nerds, Pop Rocks, Dots, Zotz, Push Pops, and Cracker Jacks available for the taking. Inside the main room, artist Justin Garcia created a “lite brite” wall composed of more than 1,000 vials of tequila making up Rossman’s portrait, and guests were encourage to pick a vial and imbibe.The fare, catered by David Cordua, centered on ’80s movies, with Mystic Pizza and Corky’s sliders, along with lobster corn dogs and taco salad served in a Fritos bag, washed down with smoking St. Elmo’s Fire drinks and Pretty in Pink Jell-O shots, served by waitresses on roller skates. A multi-tiered cake, created by For Heaven’s Cake, was decorated with such sugar spun 1980s favorites as the MTV logo, Converse All-Stars tennis shoes, a boom box and the No Duh slogan. Neon-colored slinkies dangled from the ceiling and two Ms. Pac Man machines were popular as guests vied to tally the highest score. As a kick off to the 2015 Texan’s season, this event was a fun evening complete with Flair Bartenders, custom tent construction, intricate ice bars, a replica of NRG stadium cake and a 3D mapped video. 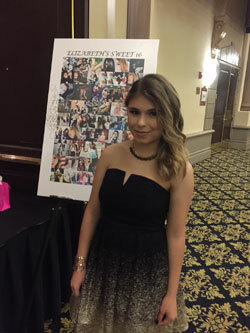 The client wanted a Chocolate Bash theme of her Bat Mitzvah, which lent itself really well to imaginative decor and entertainment. The elaborate tables were designed with custom revolving centerpieces and had it own individual, unique teapots. 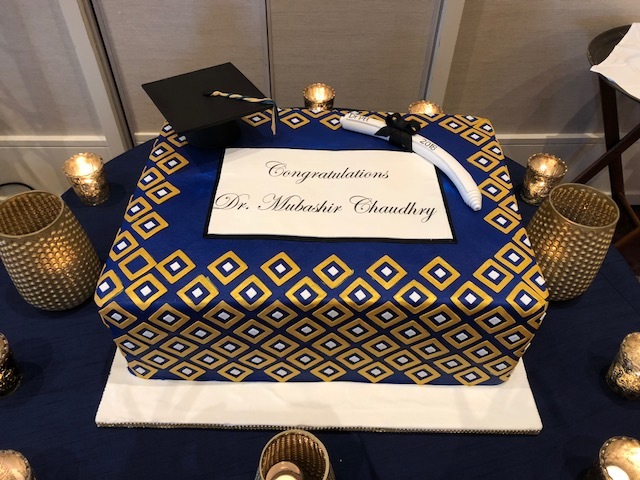 The entertainment consisted of imaginative characters from the book such as the forms of chocolate candies and each guests got a chance to make their baseball hat. 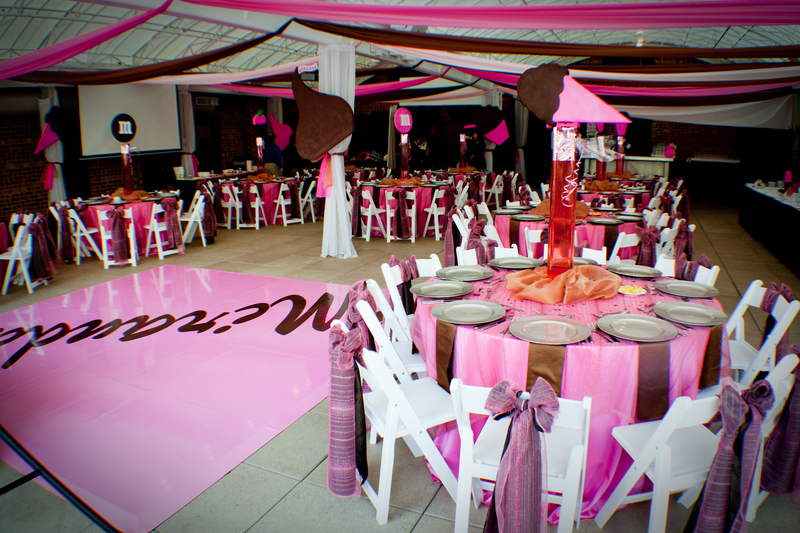 The room decor consisted of fabulous chocolate and pink enhancements and over the top candy bar. Mike’s 60th Birthday was a simple yet gorgeous evening fit for a man of stature. The gold and black color scheme was seen throughout the event. Held at Fire Station 3 in the Washington Heights, the event was held in three stages. 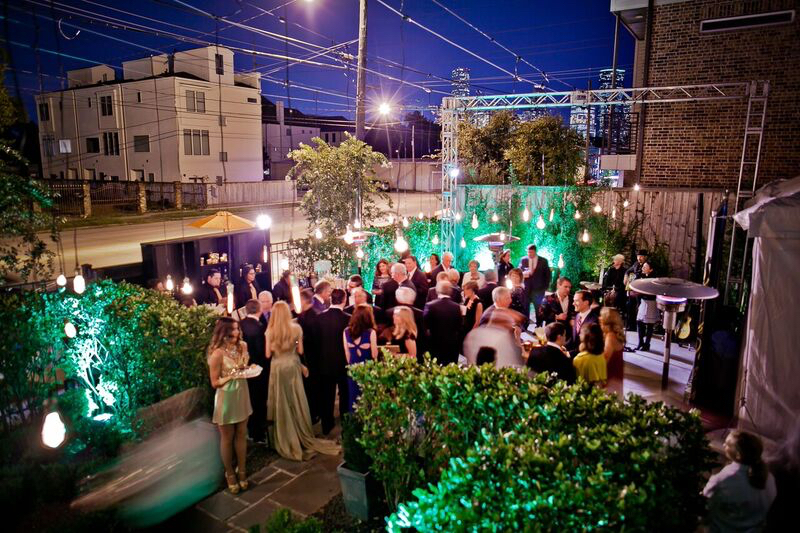 The cocktail reception took place outside under a canopy of edison bulbs hung from the makeshift ceiling. The guests took photos in front of the massive step and repeat banner. Guests where then escorted upstairs for a five course dinner with entertainment provided by the stunning vocals of Lena Hall (a talent from New York City). The birthday boy’s cake was a 3-D version of his favorite wine bottle. Guests then went downstairs for a party highlighted by the 80’s group the Spazmatics. Chocolate bon bons, cigars and an excessive about of Cristal get the guests parting late into the night. 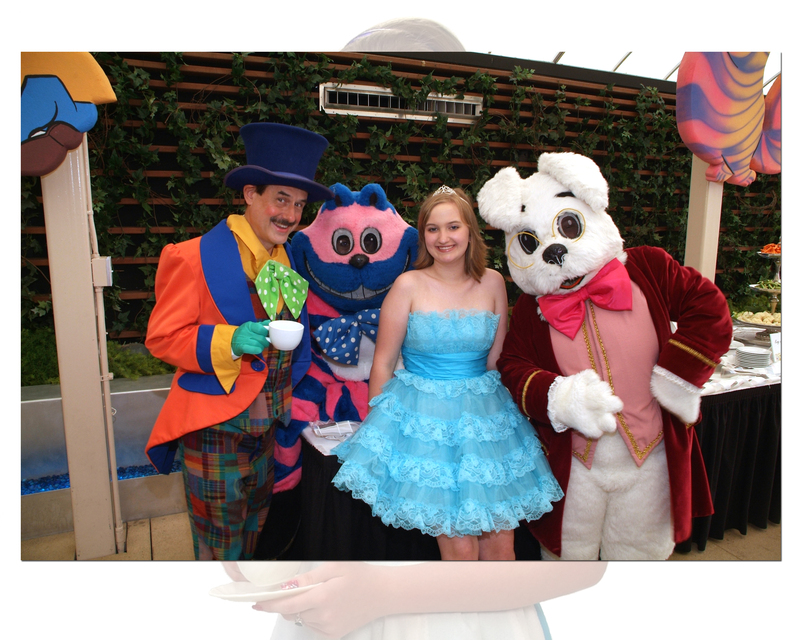 The client chose Alice in Wonderland for the theme of her Bat Mitzvah, which lent itself really well to imaginative decor and entertainment. The elaborate tables were designed with custom revolving centerpieces and had it own individual, unique teapots. The entertainment consisted of imaginative characters from the book such as the Mad Hatter and the Cheshire Cat and each guests got a chance to make their own hat. The room decor consisted of hand painted scenes from the book. 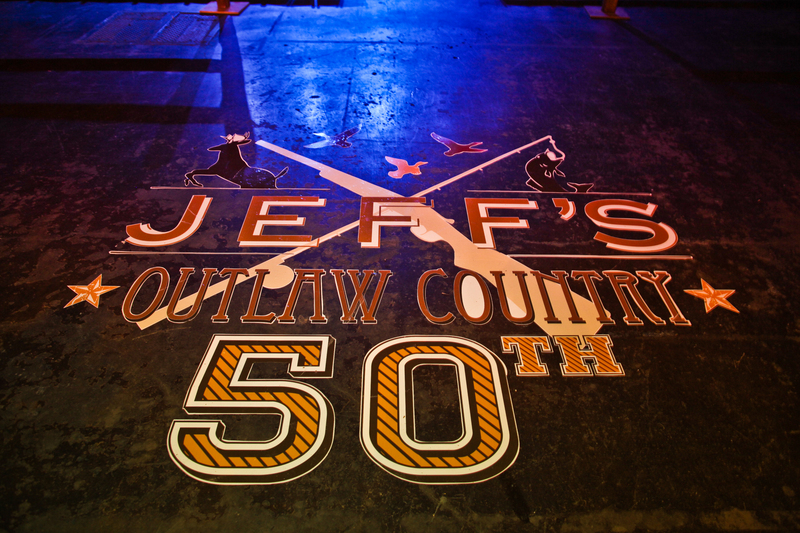 Jeff’s Outlaw Country 50th Birthday Party took place on November 16, 2013 at the Bayou City Music Center in Houston. The celebration was a fabulous event complete with star-studded performances by Texas country music legends Robert Earl Keen and David Allen Coe. The modern outlaw country decor, delicious southern home-style cooking, free flowing booze, popcorn bars, mechanical bulls and thoughtful guest takeaways were just icing on the cake (which was also very cool). The birthday boy and two hundred and fifty of his friends and family thoroughly enjoyed the raucous evening that some would say should have been OUTLAWED! This Gold and Black party held in El Paso, Texas was a simple affair but elements like the candy bar, cake, photo booth and décor really spoke to the charm of the birthday girl. An oversized poster of life photos that was used at the sign in book was a crowd pleaser.